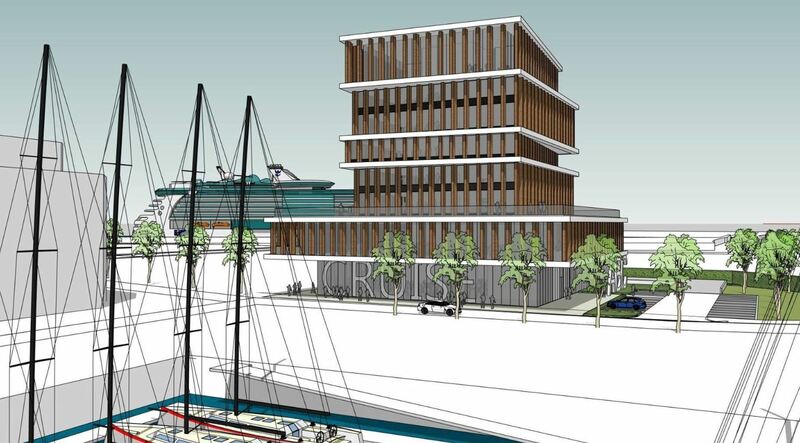 It may have taken quite some years but Bruges is finally getting a proper cruise terminal. 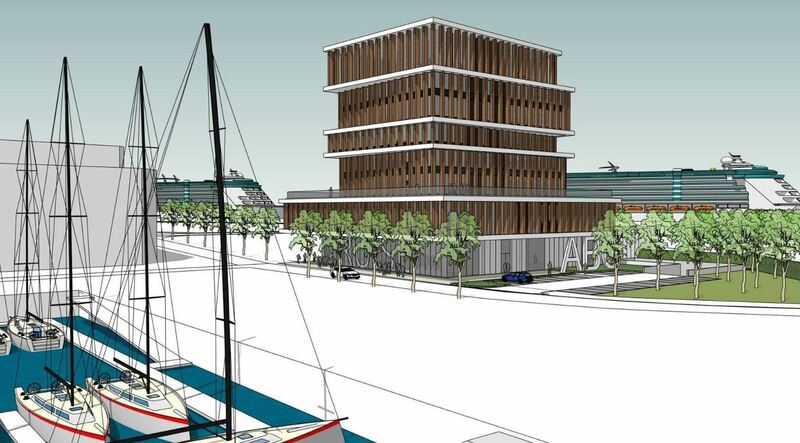 Some four years after the first plans for the Zeebrugge Cruise Terminal were first introduced, the City Council of Bruges has finally delivered the building permit and go-ahead to contruct the much needed facility. While ten years ago on average some 20 cruise ships docked at the port of Zeebrugge, in 2016 this number has increased to 146, bringing over 500,000 visitors to the “Venice of the North“. A modern cruise terminal will not only allow the port to give the many visitors a proper welcome, but also to develop the port of Zeebrugge as a point of departure for many local cruise fans. 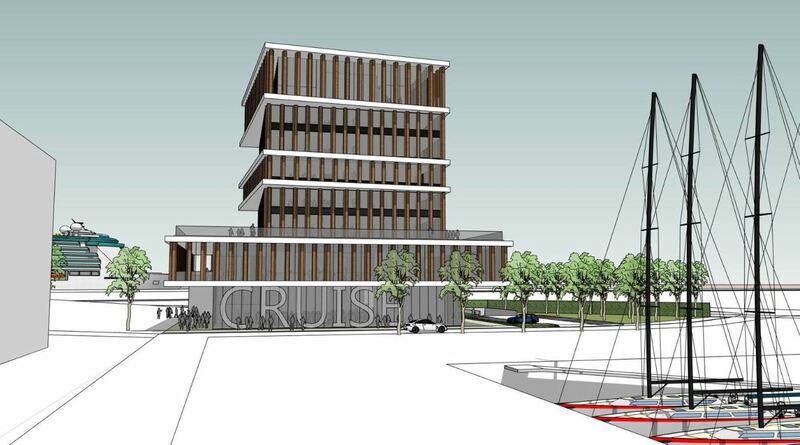 The almost 40 meter high Artes Bruges Cruise Tower or ABC-tower, will be contructed in cooperation with Artes, a local building group who will use five of the proposed eight floors as office space. The ground floor will house the passenger terminal, equipped with a waiting area for 500 people, a tourist office, shops, passenger and luggage security checkpoints and check-in facilities. On the eighth floor a visitors center and panoramic restaurant will offer passengers and visitors a direct view of the port and the historic city of Bruges. The Port Authority of Zeebrugge and Artes are each investing €5 million in the new building which should be operational by the end of 2017.